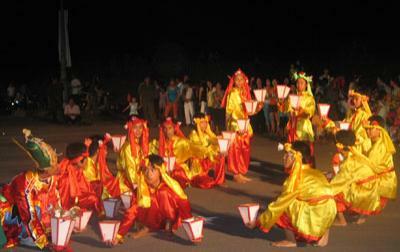 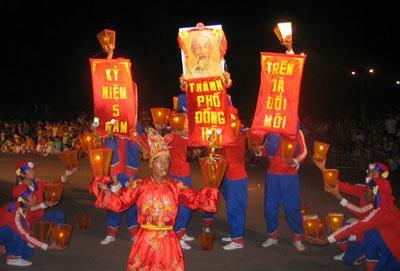 On August 12 2009, the People's Committee of Bao Ninh commune, Dong Hoi, Quang Binh held a festival of "Cheo can" performance, "bong" (flower) dance with the attendance of many local people. 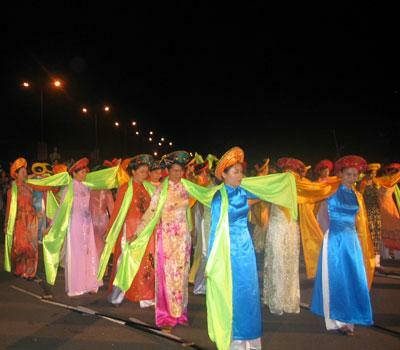 This was a meaningful activity to mark the 64th anniversary of the August revolution and the National Independence Day (September 02) and the 5th anniversary of Dong Hoi recognized as the city. 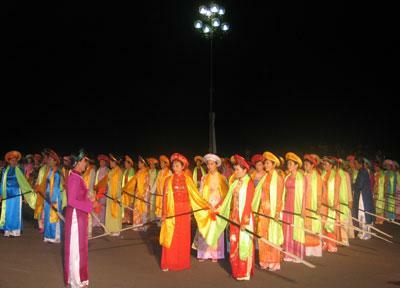 "Cheo can, mua bong" festival is a meaningful activity to express traditional culture with distinct features of Bao Ninh people in order to pray for calm sky and smooth sea, good weather and a bumper crop. 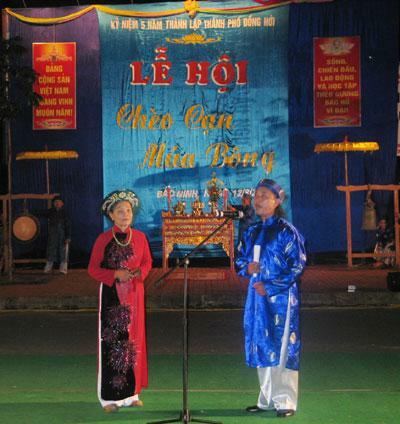 "Cheo can, mua bong" festival is often held to celebrate the nation's festivals and especially this is an indispensable part in Cau Ngu festival of Bao Ninh people.